The second instalment of our 2018 collections has landed and we are excited to share them. Twice a year, designers across the Nilorn group create a range of concepts that aim to inspire our clients and display the latest fashion branding styles and techniques. Including, not only swing tickets and woven labels but also a vast range of packaging, trims and more. 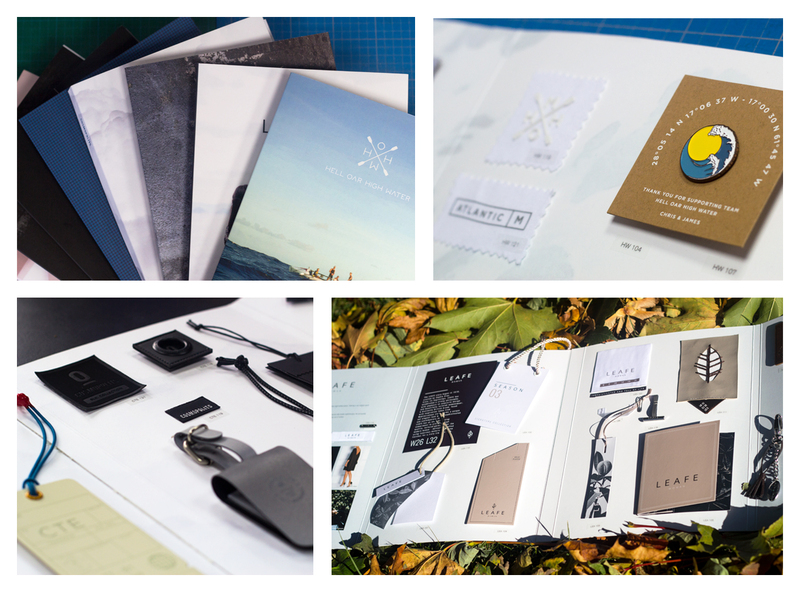 Each branding collection is displayed inside it’s own folder, showcasing the full concept in depth from start to finish – with all of our collection folders sitting neatly in our Nilorn branded leather satchel bags. All concepts include mood board inspiration and a description about the brand, through to the final products themselves and illustrations demonstrating where the items would attach to garments. If you would like to see our new collections in person, please do not hesitate to contact us and we will be more than happy to send one of our expert representatives to present them. Alternatively, you can view the latest edition of our excellent Branding & Design magazine on Issuu here, which contains articles on our latest collections and much more.